Home » How did the allotment look in the 1830s? How did the allotment look in the 1830s? Submitted by Simon Coleman on Tue, 9 Dec 2014 - 22:39. There is no photographic evidence from the 1830's when the allotment was first created. 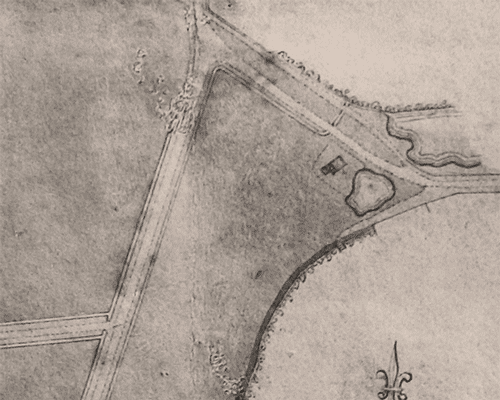 The 1832 map of Ealing Dean Common shows what is believed to be a series of drainage ditches between the road and the common (which would become the allotments). It is likely that a wooden fence created the boundary around the allotments although we have found no written evidence to support this at this time. 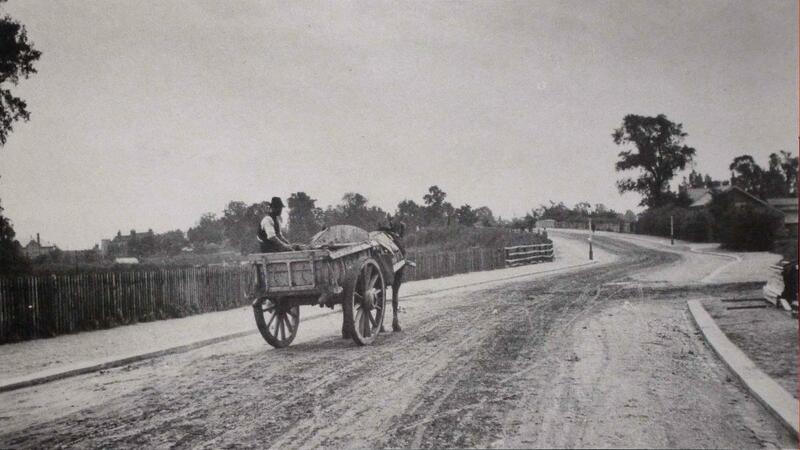 There is a mention of the "ditch" in a letter written around 1860's. This letter refers to the ditch as unsafe. The Images below (Top Left) show the map marking of the road, path and believed Drainage ditches. 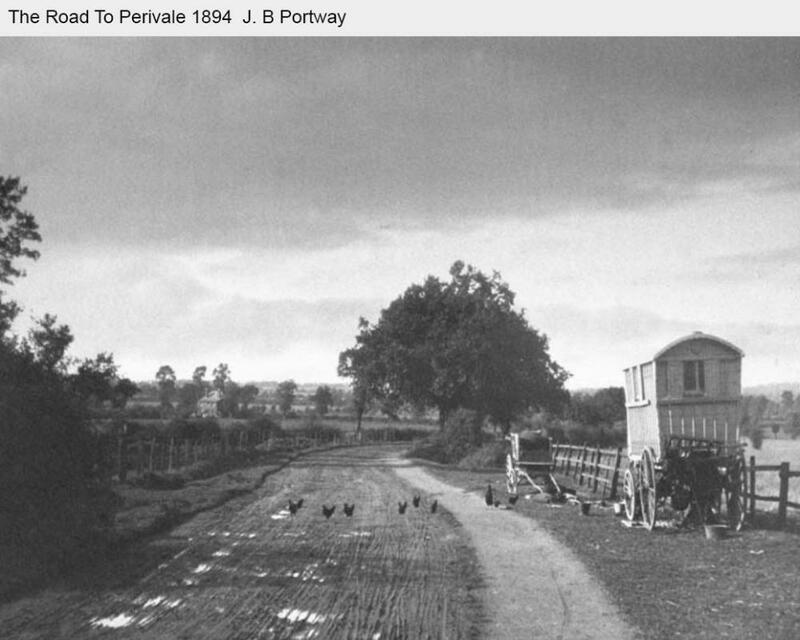 The Images (Top right) shows a road to Perivale in 1894 with a wooden fence which is most likely to be similar to any early fence enclosing the allotment. There is also a ditch that runs by the fence on the left. This may well be very similar to how the enclosed allotment looked in the 1830's. 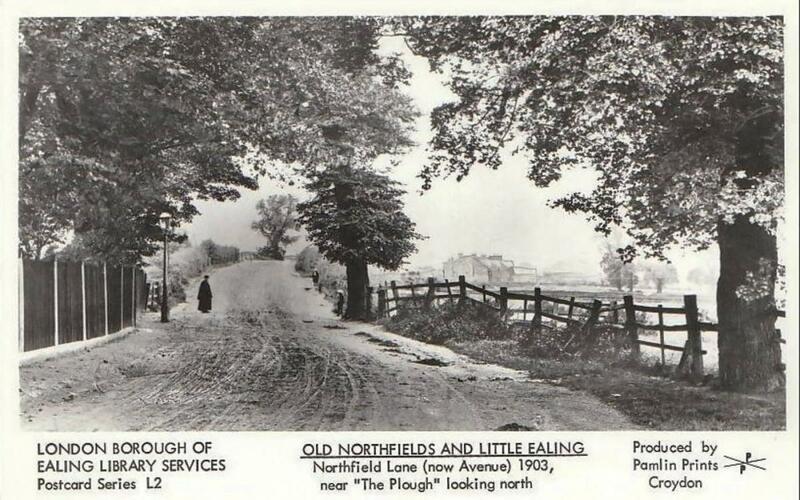 The Image (Bottom left) shows North Field lane as is was called prior to 1913 (now Northfield avenue) looking north from and area near little Ealing Lane, note the different types of fences that ran along side the path. The image (Bottom right) shows North field Lane again in 1903, note the dilapidated fence on the right showing signs of age and wear. The is the most likely style of fence that enclosed the allotment in the 1830-1880's.